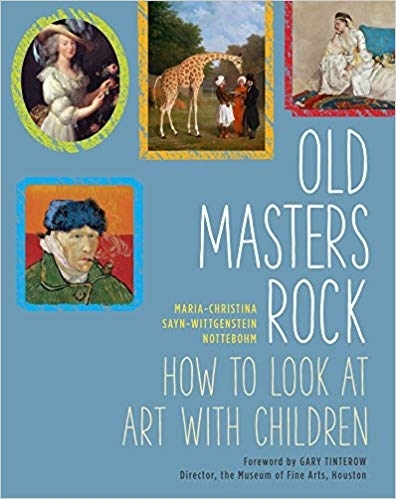 Old Masters Rock: How to Look at Art with Children - Publications - Richard L. Feigen & Co.
Old Masters Rock is a book for parents and children to look at together. It introduces the type of questions that help us discover things about a work of art and how we feel about it. Whether you are an adult or a child, curiosity should be your starting point, as it reveals what interests you in a painting. Features such as "Art Detectives" encourage children to solve clues and "Fun Facts" help them remember the pictures. Throughout, the emphasis is on looking at the paintings and drawing one’s own conclusions about what one is seeing. Grouped into 13 themes, such as Animals, the Natural World, Action Heroes, Myth & Magic, Fabulous Faces, and more, 50 paintings from the 14th century through to the early 20th century are featured. Different styles, from the early Renaissance, through Baroque, Mannerist, Realist, and Impressionist, are included. Well-known artists such as Leonardo da Vinci, Holbein, Rubens, Velasquez, Constable, Degas, Manet, Van Gogh, and Munch are featured, as well as less familiar artists who will quickly become favorites.